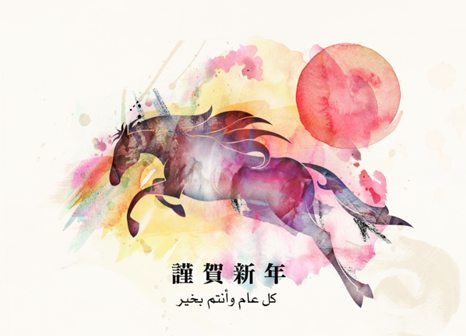 The Chinese New Year is celebrated on the second New Moon after Winter solstice, half way between the shortest day of the year and Spring equinox. 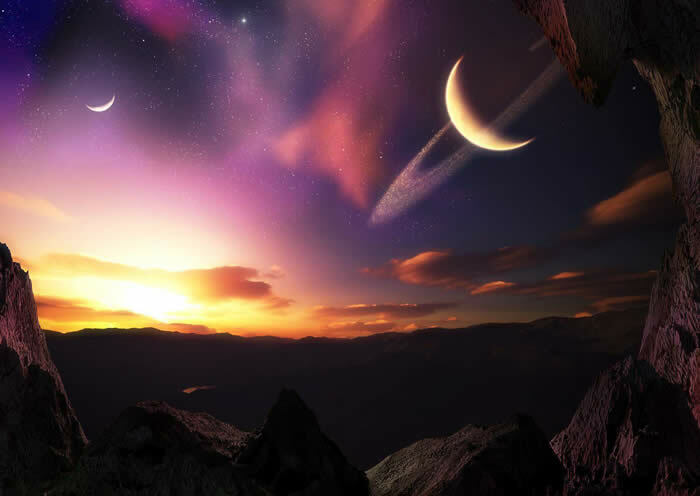 Ancient Chinese sages understood this New Moon to be the most important one of the yearly cycle. Astrology is an empirical science. 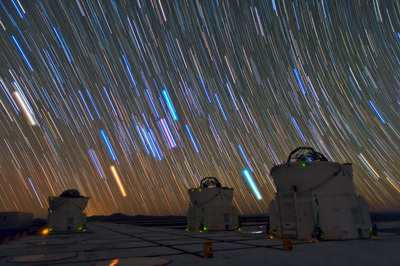 By studying and comparing cosmic signatures, common denominators and parallels can be detected. I analyzed inception charts of past Chinese New Years. To my surprise I found key events which eventually would change the course of our world to be anchored in the Chinese New Year New Moon chart. So what makes the Aquarius New Moon so special? When contemplating, I realized: Our world exists at the crosshair of two inherently different dimensions. It's very telling that the astronomical symbol for planet Earth is a cross; inscribed in a circle depicting the surrounding cosmos. The cross is a mighty symbol which has been adopted by science and religions alike. The two lines which are forming the cross can be seen as the four directions. The North-South axle marks the zenith passage, while the East-West axis refers to the horizon, where Sun, Moon and stars rise and set. Winter solstice is the root of the vertical dimension. It's the plumb line resonating with our spiritual nature. The horizontal axis on the other hand resonates with the earthly plane. It represents the material world. Within the yearly rhythm, it is spring equinox which recharges this line. The New Moon closest to the midpoint of these two key moments forms the hinge which brings the two dimensions together, amalgamating and bonding them. Hence, the Aquarius New Moon would facilitate for the most intimate meeting between heaven and earth. This New Moon makes the bridge for new creation to descend and take form. Metaphorically, at this time of the year the above and the below are embracing one another. The Horse promises to be a year of no middle ground. Everything will be exaggerated and easily blown out of proportion. There's abundance of free energy, waiting to be harnessed. Decisive action is rewarded. Unexpected adventure and big shifts may happen. Horse emits a wild and freedom loving vibe, it will shine brightly and won't be short of excitement. 2014, like 1954, is a Wood Horse. The wood element is connected with Jupiter's expansive energy. Wood is fuel for fire. When the Horse catches fire it shines even brighter. Furthermore, wood is dynamic, it is creative and alive. Natural growth in other words is aintelligence in action, applied awareness. Whatever the process, it has inborn wisdom, is connected with the cosmic energy field. Therefore it can adjust, adapt, expand, prosper and generate seeds. Of all the five Chinese elements, wood is kind os quintessential - uniting the other four, being earth-body, fire-spirit, water-soul and metal-mind. 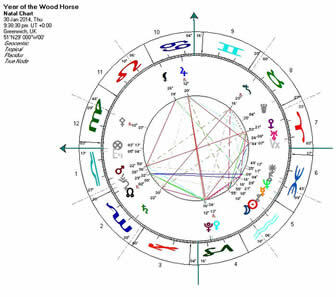 The planetary web of the 2014 Wood Horse' inception chart is very impressive. Jupiter is opposing Pluto and Venus, showing extremely powerful and dynamic thrust towards change and expansion. However this is also the image of struggle, of raging battles in attempt to overcome blockages. Right at New Moon, Venus is still going backwards and the Lunar Nodes haven't moved on to the next set of hexagrams yet. These signs indicate that radical shifts won't happen immediately. A few more challenging months may pass before changes really start setting in. Right on the heels of Venus' overhaul, from February 6 to 28, Mercury will move backwards, followed by Mars which is coming close to Earth in the months of March, April and May. Less than twelve hours after New Moon, Venus comes out of its retreat. And on that same day, Jupiter and Pluto stand in opposition, and the Lunar Nodes are exiting hexagrams #28, Greatness in Excess, (Scorpio North node), and #27, Nourishment, (Taurus South node), where they've been since November 20, 2013. All of this might feel like coming out of a tunnel, there's a sigh of relief. Once we can see the full panorama, it will be a no brainer as to what has to be adjusted and we will clearly understand what we should focus on. And be assured, there's support coming our way! This is the time to follow our hearts! With faith, courage and determination we will seize this window of opportunity! The Moon in Sagittarius is turning void-of-course at 3 p.m. It's so important not to dissociate from strong emotions, even if they're deeply unpleasant. By allowing them pt be there we're getting to the bottom of such states. On this Red Spectral Moon day we may feel intimately connected with everything around us. Oneness isn't just a metaphor. We're part of this wave pattern, a node within the cosmic grid, a meeting point where innumerable lines are intersecting, assembling into the one-of-a-kind experience of who we are. The Moon in Capricorn is calling for a reality check. It's a bit like waking up early morning when it's still dark, being pushed out of sweet dreams, urged to leave a warm and cozy bed. However we also know, it's just the one moment which is difficult. Chances are we might get treated to a beautiful sunrise. White Crystal Dog brings people together. It's about supporting one another, engaging for a common cause. Commitment is natural because we understand that we depend on each other. This powerful day may initiate a new direction. On this last day before New Moon, from 10 a.m. on, the Moon is void-of-course. There's a mysterious feel, serene and profound. Feels like being in a doorway, getting ready to face a new direction. The late balsamic Moon can be prophetic. Hence watch out for signs, you might get a hunch of what's to come. Blue Cosmic Monkey may be up for some surprises and unexpected stunts, playing captivating and sometimes mischievous tunes. Only twelve hours past its closest monthly swing-by (perigee), the Moon meets the Sun at 2:38 p.m. With this Aquarius New Moon the Year of the Wood Horse begins. In China it's already Friday when this New Moon occurs, that's why most New Year celebrations are scheduled for tomorrow. For the Americas and Europe however, the Wood Horse begins today, on Yellow Magnetic Human. This could indicate that the shifts of 2014 will start off in the Western hemisphere. The Magnetic Human speaks of rejuvenation and rebirth, of regeneration and healing; of raw soil transforming into gracious and delicate foliage. Persistence and good work ethics are further qualities of the Magnetic Human which can be an excellent problem solver. Multiple energy shifts occur today. Venus comes out of its retreat. Opposition starts fading, disharmony will be appeased. Listening to our inner voice is very important. Never postpone what intuition is telling! Our inner voice won't insist, it exists in the Now. Hence it won't be able to remind us. Spontaneity counts, we have to learn seizing the moment. Either we take action immediately, or we will miss the opportunity. Red Lunar Skywalker gives the courage to be oneself. Feel the pillar of light within. The Aquarius Moon is void-of-course from 9:45 a.m. on, 'til 8:44 p.m., when it enters the sign of Pisces.